Usual premise, usual outcome: whole lotta lame. However, one scene had me laughing harder than I've ever laughed in a theater. I had to recline forward so I could catch my breath and not black out. My sides hurt and tears were streaming down my face. Something about Jada crawling up a lighted disco wall like a sloppy plecostomus. The rest, I'm afraid, is Hollywood mistaking profanity for humor. I think the only humans I've seen work that shtick successfully were Redd Foxx, Richard Pryor, and Eddie Murphy. The rest, most generally, simply make it look like a shortcut that leads a brick wall. 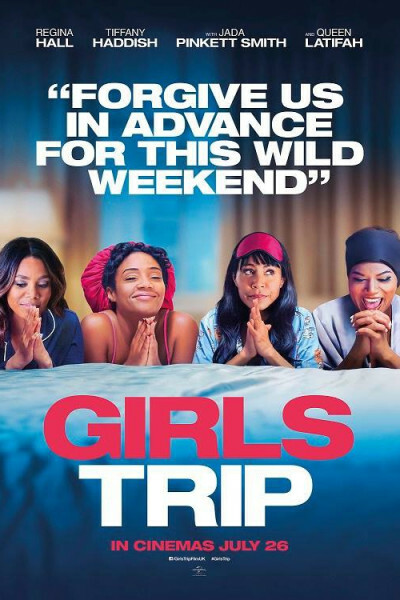 Girls Trip, I'm disappointed to say, should fall under your 'Pass' column.